Here, server is RPi and client is NodeMCU. Then install Mosquitto server using . If you are getting errors in installing Mosquitto like this. Then use this command to fix issues. After, installing MQTT server install client using command. You can check services using command. Now, we check using subscribe and publish. For subscribe and publish you can check commands. you can visit website also. We successfully installed MQTT server and client . Required library ==> paho-mqtt ,you can install using command. Go to directory cd /etc and open file dhcpcd.conf using any editor. At the end, write these four lines. Here we install required libraries in Arduino IDE. We need two libraries. 1. Go to Sketch ==> Include library ==> Manage libraries. 2. Search for mqtt and install library by Adafruit or you can install any library. 3. It depend on sleepydog library so we need this library also. // Setup a feed called 'pi_led' for publishing. // Setup a feed called 'esp8266_led' for subscribing to changes. // Setup MQTT subscription for esp8266_led feed. Just for checking whether its works or not. Here I have not created any script in RPi . we are just using commands to subscribe and publish. We will create script for controlling later on. 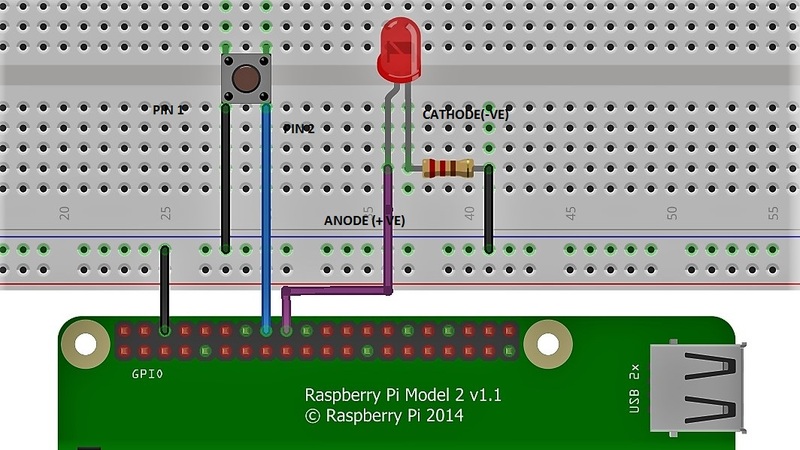 mosquitto_pub -h raspberrypi -t "/leds/pi" -m "ON"
mosquitto_pub -h raspberrypi -t "/leds/pi" -m "OFF"
mosquitto_pub -h raspberrypi -t "/leds/pi" -m "TOGGLE"
mosquitto_pub -h raspberrypi -t "/leds/esp8266" -m "ON"
mosquitto_pub -h raspberrypi -t "/leds/esp8266" -m "OFF"
mosquitto_pub -h raspberrypi -t "/leds/esp8266" -m "TOGGLE"
As it works so we move to next step. Complete code to be used in Arduino IDE. // Setup button as an input with internal pull-up. // low signal (with a small delay to debounce). // Check if the message was ON, OFF, or TOGGLE. // Turn the LED on. // Turn the LED off. Now, we are done with NodeMCU side . As i discussed above we need python script for controlling leds using buttons .So, we are going to create script. # Initialize GPIO for LED and button. # connecting to the server or receiving data from a subscribed feed. # Check if this is a message for the Pi LED. # Look at the message data and perform the appropriate action. # this script and the MQTT server. # Connect to the MQTT server and process messages in a background thread. # Main loop to listen for button presses. # signal a button press. time.sleep(0.02)  # Delay for about 20 milliseconds to debounce. 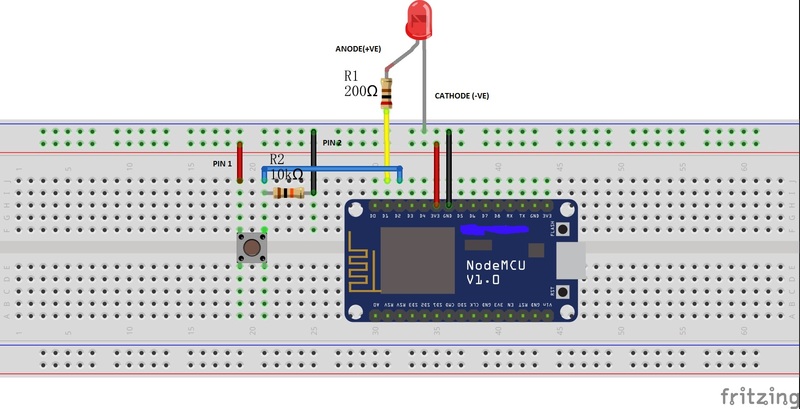 # Send a toggle message to the ESP8266 LED topic. When you run the script your script should be look like this, if result code is not zero then their is an error you can check error on paho website. Make sure you script is running otherwise it will not able to control led using buttons.